Opportunity to have information table/ exhibit at all events year-round. Specific Facebook, Instagram and twitter posts in recognition of your support. ​Take advantage of these sponsor benefits year-round in 2019. All artwork must be camera ready or high-resolution digital art. This can include 300dpi (dots per inch) image files, original art files or velox print (photostat) using a 100-133 line screen. Ads can be submitted on CD format, flash drive or by e-mail in either inDesign, Adobe Photoshop or Adobe Freehand, or in eps, jpeg or pdf form. We cannot accept faxes, dot matrix computer printouts, photocopies or Word or Publisher files. Bleed requirements: Live matter, including type and photos, must be kept within a quarter-inch margin of the 5.5 X 8.5 inch page boundaries. Ads are $4500 for for back cover, $350 for inside covers or center-page placement, $250 for full page, $200 for half-page, $150 for a quarter and $75 for business card ads. Nonprofits should subtract $50 from the price, excluding business card ads. Payments must be made in advance of publication (payment plans are available). Pay online at QCinema.org and click on “Donation” or make checks or money orders payable to QCinema and mail to 1300 Gendy, Fort Worth, TX 76107. 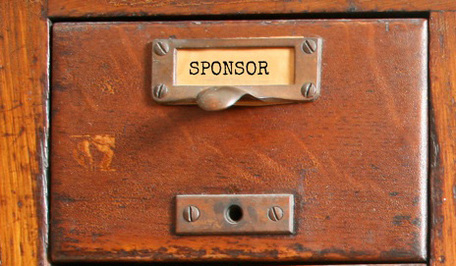 Confirmation of Q21 ad placement and/or sponsorship should be received by August 18, 2019. Completed artwork should be received no later than September 1, 2019. Send to QCinema, Attn. Kathryn Omarkhail, 1300 Gendy, Fort Worth, TX 76107 or e-mail to kathryn@qcinema.org. For any questions about artwork requirements or deadline exceptions, contact Kathryn at (817) 913-4416. QCinema is produced by QCinema, Inc., a non-profit organization under IRS code 501(c)(3). Our mission is to provide a voice for gay, lesbian, bisexual and transgender persons by presenting films, videos and live programs that not only represent the diversity of our community but educate, enlighten and entertain us all.